The prices of Copper Radiator and Harness Wire 35% Recovery scrap were up by $0.02 per Lb and $0.01 per Lb respectively over the day. 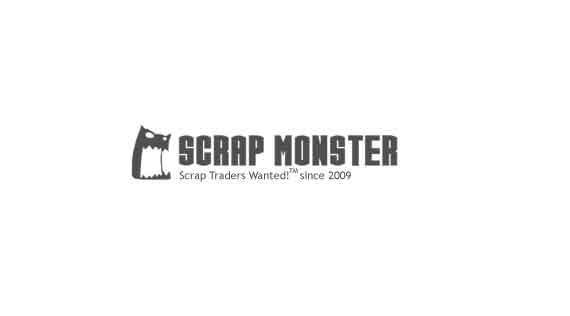 TORONTO (Scrap Monster): The North American scrap metal prices remained mostly unchanged on ScrapMonster Price Index as on March 29th, Friday. Steel scrap prices remained unchanged on Index. Copper and Brass/Bronze scrap prices registered marginal surge. Aluminum and Stainless Steel scrap prices too were up marginally. The price of Alternator scrap remained unchanged over the previous day. The price of #1 Copper Wire and Tubing increased marginally by $0.05per Lb. #2 Copper Wire and Tubing prices were also up by $0.05 per Lb. The price of #1 Copper Bare Bright went higher by $ 0.05 per Lb. The prices of #1 Insulated Copper Wire 85% Recovery edged higher by $0.02 per Lb over the day. #2 Insulated Copper Wire 50% Recovery prices were up marginally by $0.01 per Lb on Index. 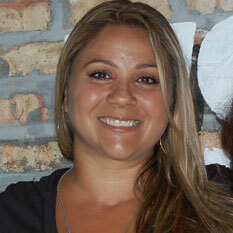 #3 Copper-Light copper prices edged higher by $0.05 per Lb. Copper Transformer Scrap and Cu/Al Radiator Ends prices remained unchanged. Cu Yokes prices rose by $0.01 per Lb from the previous day. Meanwhile, the prices of Cu/Al Radiators and Cu/Al Radiators/Fe inched higher by $0.01 per Lb each on March 29th, 2019. Heater Cores prices saw no change over the day. Romex Wires prices were up by $0.02 per Lb when compared with the previous day. The prices of Scrap Electric Motors, Starters, Sealed units and Xmas Lights reported no change from previous day price levels. 1100 Scrap prices remained flat over the day. The prices of 3003 Scrap too were flat on Index. The prices of 356 Aluminum Wheels and 6063 Extrusions/Fe too were unchanged. Meantime, prices of 5052 Scrap and 6061 Extrusions remained flat. The prices of Al/Cu Radiators and Al/Cu Radiators/Fe remained unchanged over the day. Aluminum Radiators and Aluminum Radiators/Fe prices held steady. Aluminum Transformers and Breakage 50% Recovery prices remained unchanged on 29th March, 2019. E.C Aluminum Wire prices edged higher by $0.01 per Lb, when matched with the previous day. Chrome Wheels, Litho Sheets and MLC Clips witnessed no changes on Index. The prices of Old Cast and UBC reported no variation over the previous day. Old Sheet, Painted Siding and Zorba 90% NF prices too held flat. #1 Bundle prices remained flat on Index. The prices of #1 Busheling prices held steady on Index. #1 HMS reported no change on 29th March, 2019. HMS 80/20 prices held steady over the previous day. Sheet Metal, Shredded Auto Scrap and Structural Steel also saw no change in prices when compared with the previous day. 201 SS and 301 SS prices held steady. 304 SS Solid prices remained unchanged over the previous day. 309 SS prices too reported no change in prices. 304 SS Turning witnessed no variation in prices on March 29th, 2019. 310 SS and 330 SS prices edged higher by $0.02 per Lb each on Index. Also, 316 SS Solid prices remained flat over the previous day. 70/30 Brass Scrap, 80/20 Brass Scrap and 85/15 Brass Scrap scrap prices edged higher by $0.02 per Lb each on March 29th, 2019. Brass Radiator scrap prices increased by $0.01 per Lb. Red Brass, Red Borings and Yellow Brass prices were up by $0.02 per Lb each on Index.